Just in time for the 25th anniversary of the company, InfraTec is presenting its new ImageIR® 10300. This latest model of the high-end ImageIR® series features the world's first radiometric camera with a cooled detector of (1,920 × 1,536) IR pixels for industry and science. Compared to the ImageIR® 9300, the sister model with its smaller SXGA detector, the pixel pitch has now decreased to just 10 µm. 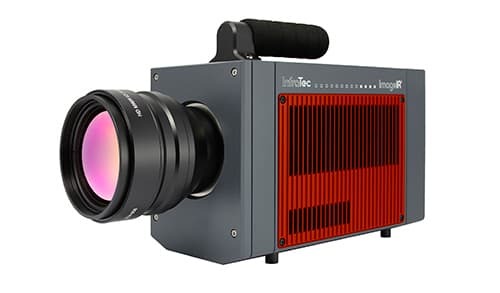 This news-breaking development for the IR camera series has opened the door for InfraTec to create thermograms with unprecedented image detail and sharpness. At the same time the geometric resolution of greater than 3 Megapixels translates to a substantial increase in efficiency of testing extremely small micron sized structures on large targets. The large format is an advantage of the new InSb-Focal-Plane-Array. The other advantage is the excellent temperature resolution that results from utilizing wide-open apertures. This makes the camera suitable for the most demanding measurement and inspection tasks in industry, research and development. Users in these disciplines will also benefit from the 10 GigE interface. This connection will allow to transfer data ten times faster to a computer than with the conventional GigE interface. The data rate of 10 Gbit/s allows significantly higher frame rates while in full frame mode. As a result the ImageIR® 10300 achieves a full frame transfer rate of up to 100 Hz. 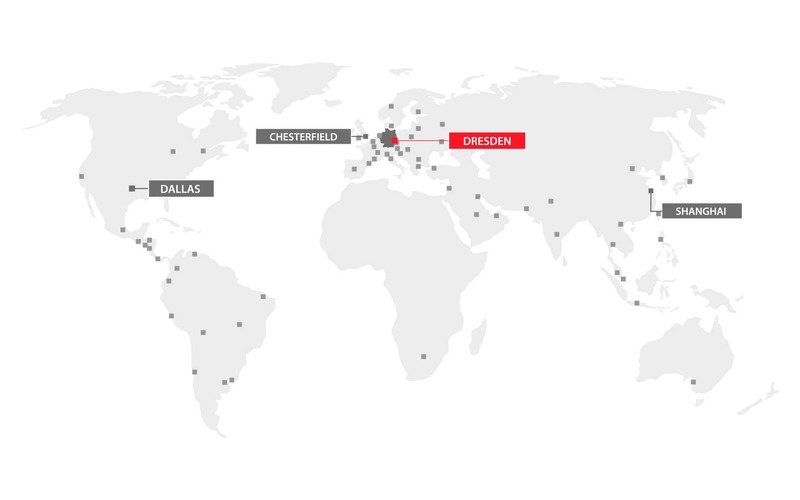 The connection is completely immune to electromagnetic interference, thanks to modern fiber optic cable technology, and can extend over distances from several meters to tens of kilometers. Even in their stand-alone versions, the models of the ImageIR® Series are powerful thermographic systems. The true flexibility of these high-quality thermal imaging cameras is especially evident in the possibilities they offer by their complete package systems. Superior infrared precision optics, robust control and analysis software coupled with various trigger and flexible integration options provide users with unlimited capabilities to capture their application-critical data. Applications range from active thermography to micro thermal imaging, aerial thermography to site surveillance. In addition, the thermal imaging cameras can be integrated as components in turnkey automation solutions designed and serviced by InfraTec.